If Kurt Cobain was into turning in his grave, you suspect he must be in a permanent spin, given what has happened to Nirvana’s legacy. The cause for his latest revolution might be the news that his biggest hit, 'Smells Like Teen Spirit', is now the title of a new sitcom in development by CBS. The comedy is the brainchild of Dave Goetsch, the writer behind 3rd Rock From The Sun and The Big Bang Theory, a renowned comic chronicler of the USA’s twentysomethings. The Hollywood Reporter describes the comedy as the story of a geek who "forgoes Harvard and instead opts to launch a multibillion-dollar Internet company from his garage with the assistance of his sister, best friend and his 1990s indie-rock parents". Goetsch’s work does tend to feed off pop culture icons and Smells Like Teen Spirit looks likely to follow that pattern. The biggest obstacle to the title remaining in place all the way through to broadcast might be Cobain’s widow, Courtney Love. 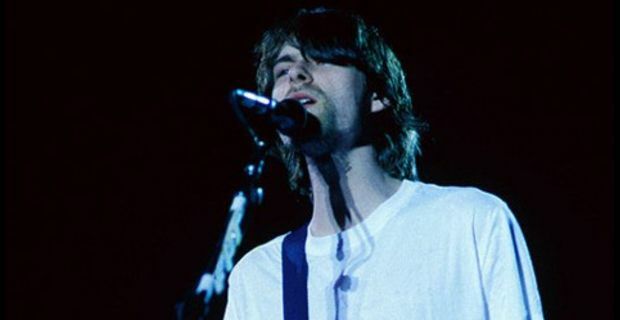 Love has been fiercely protective of Cobain’s work, at least up to the point where considerable amounts of money is being ploughed into the Cobain estate. Whether she will be conducive to seeing the grunge classic’s title recycled as a sitcom must be questionable. Love isn’t even that keen on other artists covering Nirvana songs. When Lana Del Rey recently played 'Heart-Shaped Box' in live shows, Love tweeted her to tell her exactly what the song was about (clue: it had nothing to do with heart-shaped packaging).